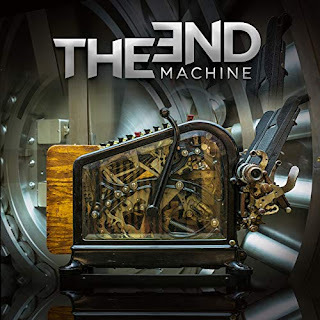 Δελτίο τύπου: «THE END: MACHINE, the new band featuring three members of the classic DOKKEN lineup - George Lynch (guitar), Jeff Pilson (bass), and Mick Brown (drums) - along with former LYNCH MOB and current WARRANT vocalist Robert Mason will release their self-titled debut on March 22, 2019. The End: machine’s sound developed through several songwriting sessions between Pilson and Lynch, but while The End: machine’s lineup may have fans making assumptions about the sound of the band, things took a different turn. "The real truth of it is that George and I have this great songwriting partnership that's been going on for 35 years, and we love to work together,” says bassist and album producer Jeff Pilson. "When we bring Mick into play, we're at home - we're so comfortable as a rhythm section and we work together so well. And Mick is just a tremendous asset to any band - let's face it. So the three of us together do have that chemistry, whether we're doing DOKKEN, or we did a T&N record a few years ago, or whether we're doing THE END MACHINE." Pilson continued: "George and I wrote a bunch of this music, and then, when Robert Mason got involved, we realized, 'Wow! This is it’s own animal. This is incredible. Robert's voice is just so super human; his writing is amazing. And so the three of us doing the writing really formed into something that I think people are gonna be surprised by. There are the DOKKEN elements there - no question - and there's a bit of LYNCH MOB in there too. ROCK STAR 15 Ιανουαρίου 2019 - 10:44 μ.μ. Οι Dokken χωρίς τον Don. Μ' αρέσει σαν ιδέα. Για να δούμε και το αποτέλεσμα. BALADEUR 19 Ιανουαρίου 2019 - 9:45 μ.μ.